The designer of the Jefferson nickel, Felix Schlag, won a competition and $1000 for his model of President Thomas Jefferson and his home, Monticello. This quality H.E. 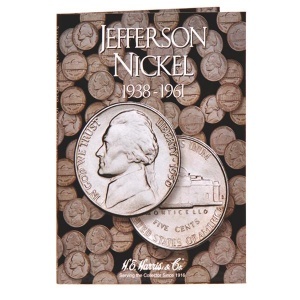 Harris Coin folder holds 66 Jefferson Nickels from 1938-1961.